Being a leading firm in this industry, we are deeply engaged in offering a high-quality range of Fullers Earth Powder. 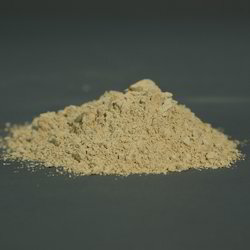 We are engaged in offering fine quality Multani Mitti Powder. In order to keep pace with the never ending demands of customers, we are involved into offering wide range of Multani Mitti Powder. 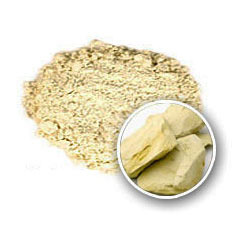 Fuller's Earth (Multani mitti) is known for its excellent exfoliating properties. The ingredient is gentle on your face, but, at the same time, efficiently removes dead cells from the top layers of your skin and unclogs the pores. This is one of the ways in which it prevents the formation of acne. Suitable For: for skin is as a face pack or mask. We are offering high quality range of Activated Fullers Earth. It gives greater oil recovery from the process. This is strictly manufactured under the guidance of skilled professionals. This is widely used in the absorption and refinement of lubricant, paraffin and vase line, vegetable oil, and the purification of honey, wax and glycerine.